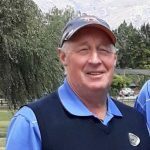 Canterbury will play Northland while Auckland will meet Wellington in the semifinals of the men’s national interprovincial team tournament on the Clearwater course in Christchurch this morning. Canterbury topped division one on a countback of games from Wellington while Auckland was dominant in division two. Otago lost any chance of making the playoffs after going down to Southland 3-2 yesterday morning. Otago romped home against Tasman in the afternoon but it was too little too late and the team finished third in the second division. This placed Otago sixth in the event as Manawatu-Wanganui, which was third in division one, had a superior point and game tally. Otago looked set to beat Southland when leading 3.5-1.5 with six holes to play. “But the Southland boys finished well turning the tables and they deserved the win,” Otago coach Ben Gallie said. Southland No1 Mat Tautari was 5-under on his way to beating Inia Logan on the 17th green. 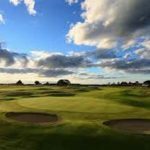 Otago No2 Brandon Hodgson was two ahead of Tyler McLean after 12 holes but McLean birdied 14 and 15 while Hodgson finished with two bogeys. 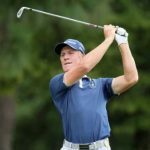 Otago No3 Jack Turner had two wins on his 19th birthday, beating Liam Hewitt in the morning and Tasman’s Brook Hale in the afternoon. No4 Scott Hellier had the measure of Liam Balneaves on the front nine but the Southlander birdied 13 and sank a 12m putt for a birdie two on the 16th hole to turn the tables. In a battle of the reserves at No 5, Duncan Croudis finished with a last-green win over Southland’s Brad Harper. Otago was always in control in the afternoon with some impressive winning margins over its Tasman opponents. The team needed Taranaki to beat Northland in the final round to finish second and make the playoffs but Northland won three of its five games over Taranaki.